Due to a number of practical advantages, digital pianos offer a great opportunity to have a piano in the home where a traditional piano might not be in the budget or appropriate for the space. They’re relatively cheap, take up a little less space than a traditional piano, don’t need tuning and you can practice quietly or with headphones on. The trouble is, there are lots of different types of digital pianos, all with bewildering tech specs, and it’s hard to know which one is going to suit your needs. What are the different types of digital piano? And what type do I need? Digital pianos generally fall into three categories with a couple of more specialist exceptions. The vast majority of digital pianos have an 88 key weighted keyboard, and sample the sound of a grand piano. The most common is the full cabinet digital piano. These are a free standing instrument with three foot pedals, and a lid to protect the keys. Classic digitals are heavier to move around so they’re not designed to be transported on a regular basis – but they’re not so heavy that two adults can’t move them as they’re nowhere near the weight of an upright piano. The lid is a very useful feature in terms of keeping the dust out and protecting the keyboard in a family room and the three pedals give you all the options if you’re taking the more advanced Associated Board exams. The larger cabinet design of these instruments mean that they are able to accommodate larger amplifiers and speakers, providing a fuller and higher quality sound. Most of the manufacturers also make slim-line versions of Classic pianos where the cabinet is designed to be as slim as possible within the constraints of an 88 note keyboard. Because of this they appear less imposing in a small space so they are a good option for bedrooms and smaller studies. Some makers sacrifice the lid in order to make the instrument as slim as possible but there are a few models that use a folding top design to protect the keys. Portable stage pianos are becoming more popular with the swift advances in digital piano technology that we are seeing at the moment. These are not free standing but are designed to be used with keyboard stands. They can be moved whenever necessary so are ideal for students wanting an instrument they can take to university with them, or for small homes where the piano can be packed up out of the way when not in use. They are also commonly used by musicians who perform in public, being small and light enough to take out to gigs and rehearsals. Lastly there are digital pianos designed to look like real pianos. These are modelled on either upright or grand pianos. The benefits of this are largely aesthetic and they look great in a large front room or in commercial spaces such as bars and restaurants. The grand piano style versions also have an advantage for playing with other musicians in that the pianist is facing outwards towards the other musicians rather than staring into the wall! Ok, I have an idea what type of digital piano. But there are so many models and so many price points! Beyond the fairly obvious question of the physical size of the instrument, the two key factors that need considering when choosing a digital piano are the authenticity of touch, and the realism of sound. These two areas are where you will see a big difference when comparing a cheap digital piano with an expensive one, so let's look at those in a little more depth. Why does the key action matter? Let’s look at the keyboard first. When you press the key of a traditional piano, the key operates a mechanism that results in a hammer striking the string and making a sound. This mechanism adds weight: so where as the key on an organ or a small home keyboard depresses easily with little pressure, a piano key will feel much stiffer and return to rest differently. This weighting makes it much easier for a pianist to control the dynamics of the instrument. For an advanced pianist this can be a frustrating aspect of playing digital pianos, but in recent years the key mechanisms have come on a long way. The best instruments solve the problem by using real wooden piano keys and building key mechanisms that follow a similar physical process to that of a real piano. Both Yamaha and Kawai now make models that have a whole action taken from their acoustic pianos, although these instruments have the disadvantage of needing regulation (or setting up) to keep them in optimum playing condition. The cheaper pianos use a range of different designs to simulate the feel of a real piano using metal and plastic parts that cost less to manufacture. For an advanced pianist, a realistic action is the most important part of a piano: the instrument needs to respond as much like a traditional piano as possible. For those players we recommend a wooden key action (such as the Kawai Grand Feel) as a bare minimum, and the more advanced mechanisms used in the flagship models is a big advantage if it is within budget. The more basic systems used in the cheaper instruments are surprisingly realistic and even an entry level digital piano will serve a beginner extremely well so if it's a first instrument and you don't want to spend into the thousands you won't be letting yourself down – just be aware that there may come a point at which you will benefit from upgrading in the future. What makes some digitals sound better than others? The sound quality is the other desirable feature in a digital piano and there are two components to this: the amplification and the sound generation itself. 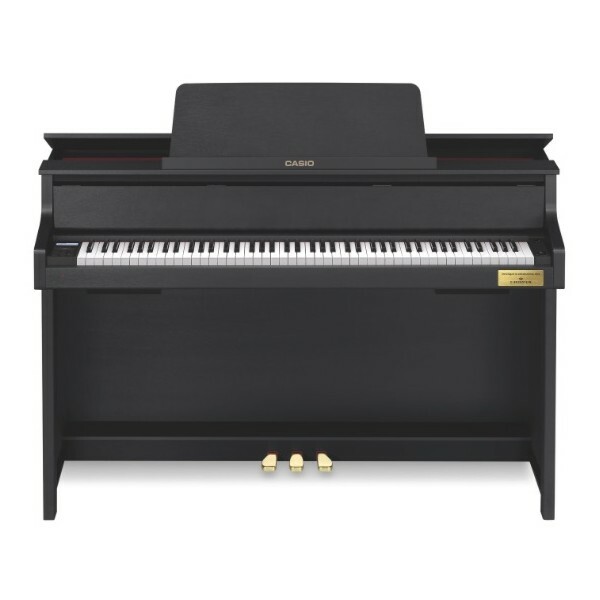 The power ratings on digital pianos cause a bit of a misconception with first time buyers: it's easy to think that you won't need a powerful piano because the instrument is only going to be used in a small space but in reality there is a big advantage to having a more powerful instrument whatever the environment it is being used in. As any pianist who is used to traditional instruments will tell you, the volume control on a piano is in the fingers, not a knob you can turn to make it louder or quieter. As such, in order to be realistic a digital needs to be able to recreate the dynamic range (ie the range between the quietest and loudest sounds the instrument is capable of producing) of a traditional piano: if it's not loud enough, the player will not learn to control the dynamics of the instrument. Only the most powerful of digital pianos are capable of approaching the dynamic range of a traditional piano so the more powerful it is the better. Power also affects the sound quality. Having read my last paragraph you'll probably play a chord on an entry level digital and think it sounds quite loud. However, to reach that loudness the amplifier is straining, and you will hear this most clearly in the bass. If you strike a loud octave pair at the bass end of the keyboard a lower powered instrument it will sound quite loud but the sound quality will be thin without much thump to it – strike the same chord on a more powerful instrument and the sound will be a lot fuller with a richness to the bottom end. The other aspect to sound quality is how sophisticated the sound generation itself is. How they work is a big topic and an easy one to get lost in, but put simply, the sound you hear when you play a digital piano is a recording of a real piano. All digital pianos work this way but there are many layers to how an expensive instrument recreates the nuances of an acoustic instrument and not all those stages are replicated in cheaper instruments. A top of the line piano stores much more content and processes that content in a more sophisticated manner than an entry level version – as such it requires a much more powerful processor to handle this data. So, recommend me a digital piano then! For beginners, don't feel you need to spend a fortune but try to look at instruments such as the Kawai CN27, which is a great entry level model by one of the world market leaders and is an ideal first piano. It also offers bluetooth connectivity for integration with popular recording and tuition apps. 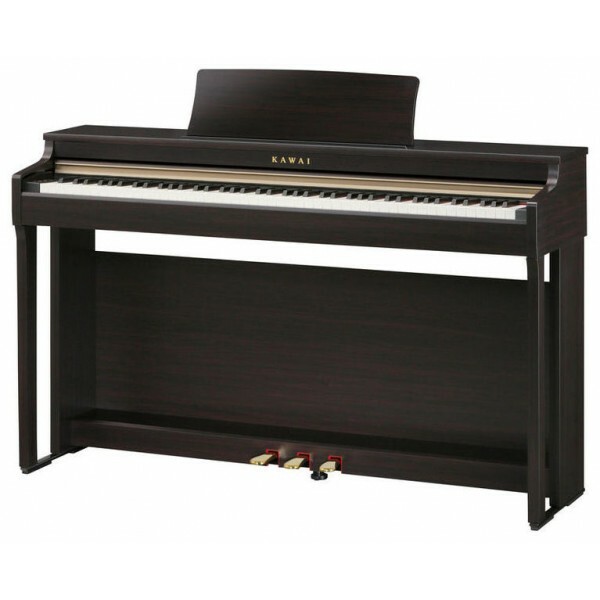 If you can afford a little more our best selling piano is the Kawai CA48, which shares a similar sound chip to the CN27 but has the huge advantage of a wooden key mechanism. Either would be an ideal family instrument that the kids can practice on and the adults can enjoy when the kids are in bed. If you need a more compact instrument, we can recommend the Casio AP270, a slimline design with a neat folding top to protect the keys and a great sound for such a small instrument, utilising as it does Casio's AiR sound technology. If you really need to keep the costs down, the Casio CDP130 is a entry level instrument that has really impressed us for its price point. It requires a stand rather than being free standing but aside from that it sounds decent and has a great feeling keyboard that holds its own against much more expensive pianos. 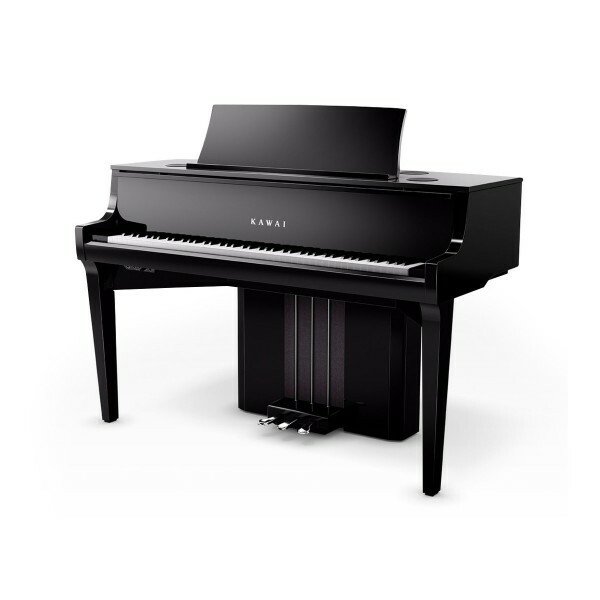 If you need a quality piano that is portable, we recommend the Kawai ES8, which has most of the benefits of a Kawai cabinet piano in a performance friendly package with lots of connectivity for amplification and using with a computer. It has built in speakers for practice that can be disabled when the instrument is used through external amplification. This piano have proved popular with everyone from church choirmasters to touring rock musicians, so it's a versatile instrument. For more advanced pianists there are a wealth of options - our recommendations would be for the Kawai CA98 and the Casio GP400. Both have long wooden keys imitating those of a grand piano, and the Kawai especially has an extremely powerful amplifier and speaker setup, with a spruce soundboard for even more authentic sound distribution. If you want something that looks like a real piano, the Kawai CS11 is a great looking upright style instrument that has a trick up its sleeve in that it has a genuine spruce piano soundboard fitted to the rear of the instrument. It contributes considerably to the sound and is popular with schools and theatres for that reason, and of course if the rear is in view it looks a lot more like a proper instrument. Finally, there are two premium options to be had in the Yamaha NU1 and the Kawai NV-10 Novus. Instead of recreating a piano action, both these instruments contain actual actions lifted from real pianos. This ensures that the touch is absolutely realistic - the only downside being that, just like an acoustic piano, the action will have to be regulated. Hopefully this should give you some pointers to help make a decision as to which instrument is right for you. Don't forget that our digital piano department is staffed by people who know these instruments extremely well and will be happy to discuss your requirements further – you can reach us by phone on 0161 834 3281 ext 606, by email through the website and of course we have a showroom with all these instruments available to try and staff on hand to help. So if you're local, come in and see us!